"Mortgage rates wobbled higher this week, pressed there by Fed Chair Janet Yellen's comments which followed last week's Federal Reserve meeting. Meanwhile, the freshest data about the economy continues to be a mixed bag, but one with perhaps a little warmer glow than seen earlier in the year. "A busy calendar of fresh March data is out next week, capped by Friday's employment report. To the extent that weather was the factor which subdued all things economic in January and February, we should see improvements in a number of reports, including the ISM twins and auto sales. If so, this will tend to lift mortgage rates a little during the week, and any outsized reading for employment gains on Friday would tend to exacerbate any rise. 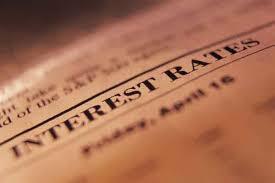 At the moment, we think we'll see another 3-5 basis point increase in rates for the week. "